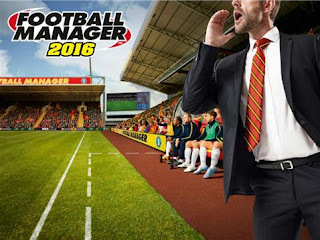 Football Manager 2016 - Getting the right tactics! So, day one on Football Manager 2016 has seen me discover the all new "build a manager" function when you first set up your save game, but I am not really interested in talking about that. While I am sure some people enjoy being able to customise their look on the sideline I am not particularly bothered about it. Instead, I want to focus on how I go about building my team and getting ready for the challenging seasons ahead. Firstly I wanted to set up my own tactics for the game, I had a very particular style in mind when I booted up the game but I wasn't quite sure how I was going to make it work. Basically, I want to dominate possession from start to finish, if you don't have the ball you can't hurt me kind of thinking, but I also needed to pose a threat going forwards as 40 draws a season will not be enough to achieve my "mid-table finish" objective set by the board, and I want to exceed that target. 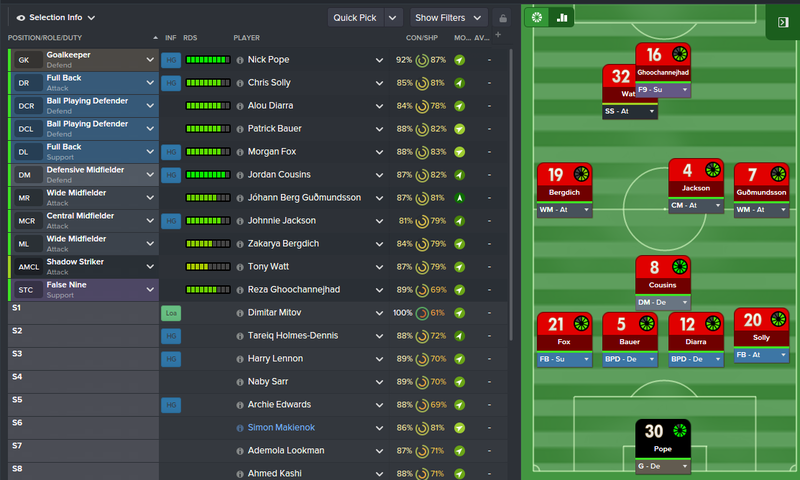 There were 3 tactics that I had in mind from previous games, 3-5-2, 4-2-3-1 and 4-4-1-1. I had pretty much written off 3-5-2 before even starting, I am playing as Charlton and one of our best players is our right winger who isn't built to be a wing back. I toyed around with the 4-2-3-1 formation for a while but injuries to my entire midfield limited my options here and I couldn't quite get the balance I was after. So I was left with 4-4-1-1. I tried to push the right winger forwards into an AMR position with the Inside Forward role, but this seemed to leave my team exposed on the right, and there was negligible difference in terms of positioning and attacking intent when I moved the player back to an RM position and set up their instructions as a wide player. Previously asymmetrical tactics have been all the rage, and they may prove so again this year once everyone starts to get their heads around the match engine and how the game plays out. But right now I am keeping my team pretty balanced. Through the centre there may be some variation on position but in general the positioning seems to balance itself out. My fullbacks are also set to either support or attack. They form a key second line of attack as I find that my two wide men push into the box quite often and the fullbacks can provide a very reliable crossing option which is useful when my big Danish striking option is playing. In midfield, I had originally set Jordan Cousins up as an Anchor or Halfback but quickly discovered that he wasn't offering much in terms of positioning and a lot of space was opening up in front of him for my opponents to exploit. Similarly, Johnnie Jackson has changed from AP to DLP to CM - attacking early in the season. Every option seemed to leave too much space either up or downfield but the CM position does seem to provide some balance, which it should do in theory. 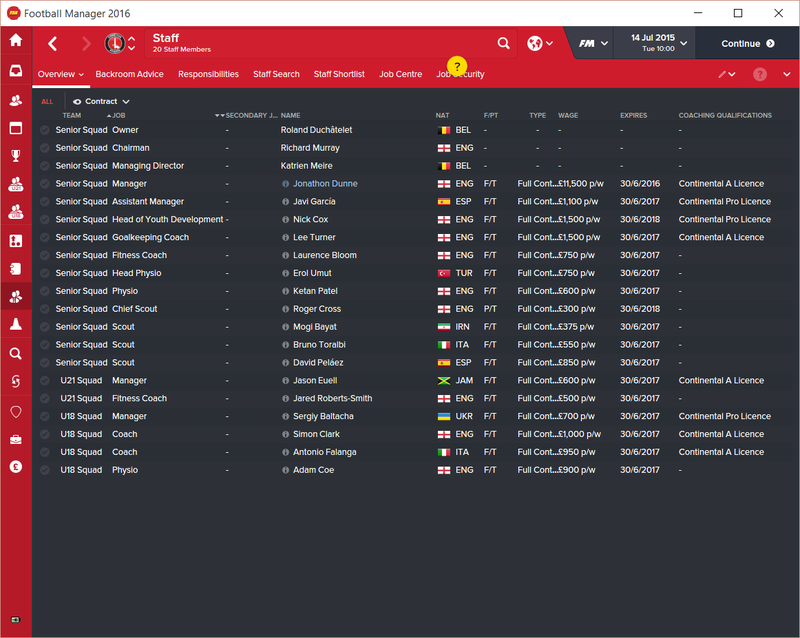 Up front I have a Shadow Striker and, currently, a false nine. The shadow striker is supposed to provide your main goal threat (according to the role description in the tactics creator) but my main player for this role hasn't been scoring too many. Similarly, my centre forward is also struggling for goals, the balance further back in the team seems to have limited their options, although the right winger has more than made up for this with a number of goals. Early results have been positive, we are dominating possession and getting a high number of shots in, but the low number of goals from "strikers" is concerning. I haven't quite figured out an effective corner routine just yet but it is possible that this is due to the players I have available rather than a failure of any particular system. Next up I will take a look at my revamped staff, where I have been bringing in a number of people who will hopefully push us onwards and upwards.